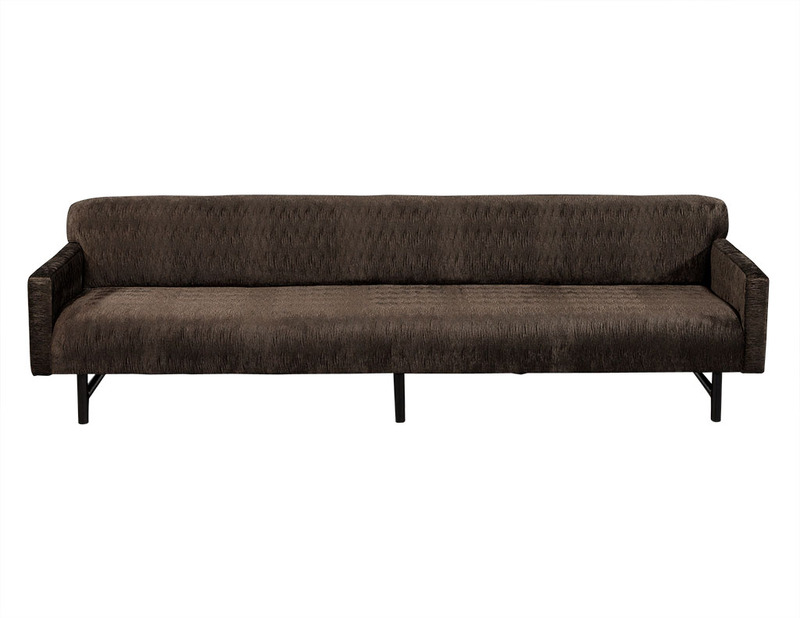 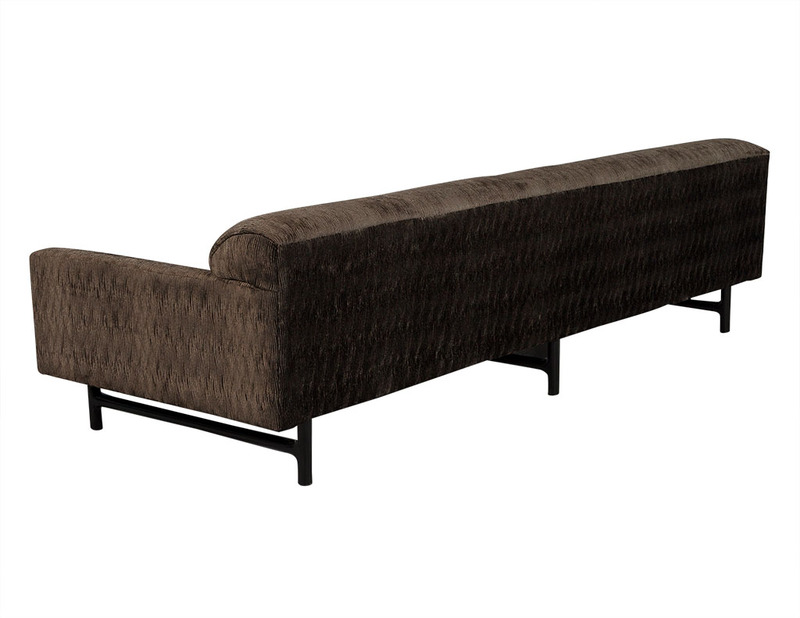 This mid century style sofa is part of the Carrocel Revival collection. 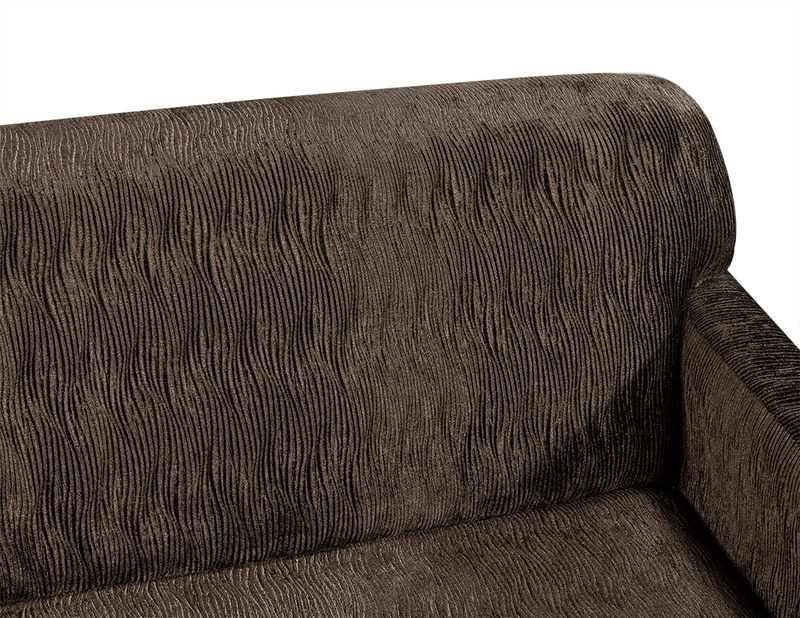 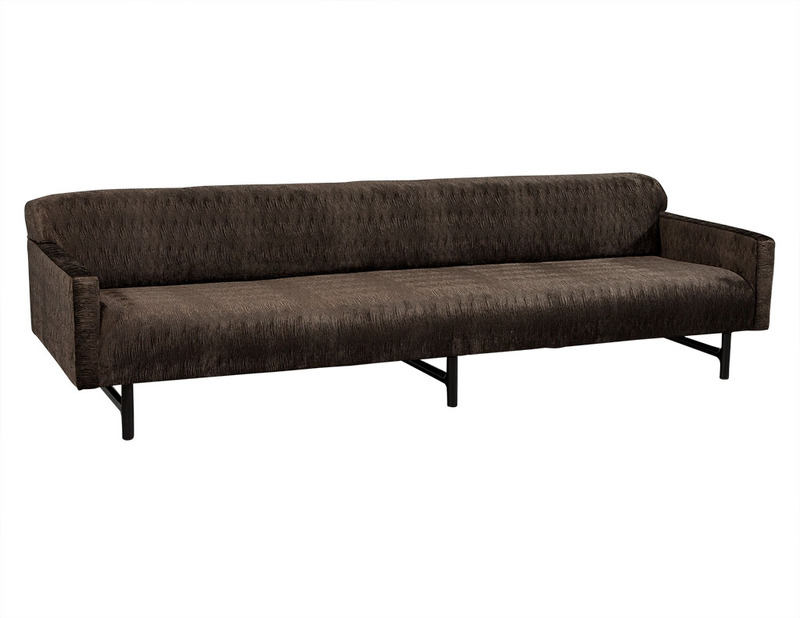 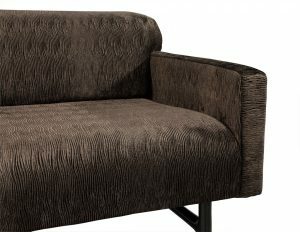 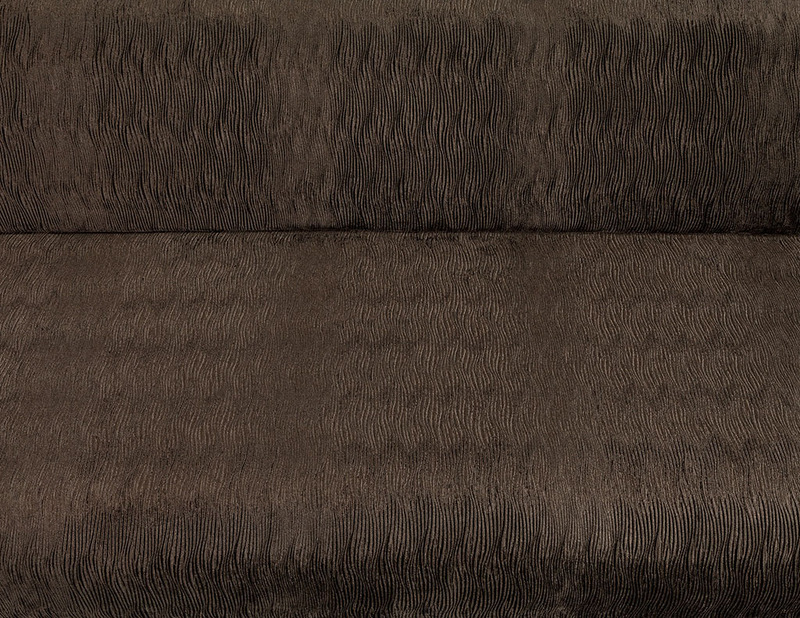 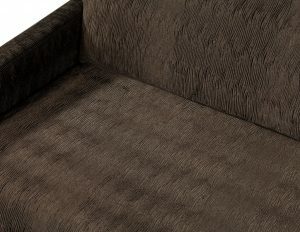 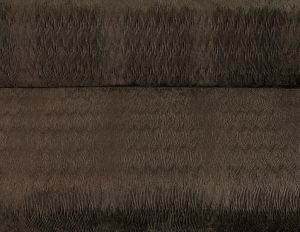 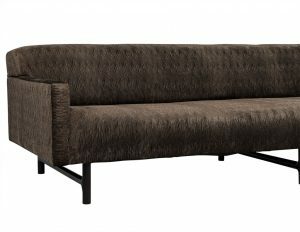 Wide and low profile, the piece is newly upholstered in luxurious dark taupe “wavy velvet” fabric. 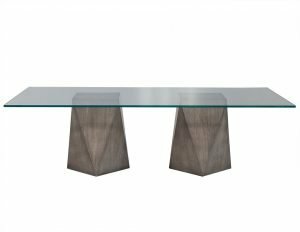 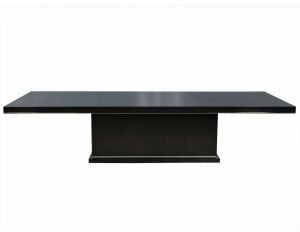 Sitting atop a black wooden base consisting of six legs (3 sets of 2) this piece is the perfect addition to a serene living room.